A picture is worth a 1000 words.... unless they're stuck in your computer. Personalized photo books are a great way to enjoy and share your family memories. 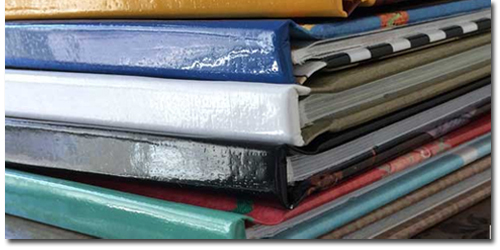 Each photobook is handcrafted using the finest archival materials and techniques. See complete price list below. are endless but here are a few ideas. Important:Page 1 will always be the front cover, page 2 will be the title page and the last page will be the back cover. Spreads will always begin with an odd page number and end with an even page number. unless they're stuck on your computer. 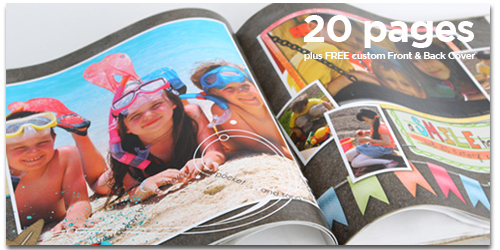 Personalized photo books are a great way to enjoy and share your family memories. Whether you want to create a photobook celebrating a year in pictures, a travel journal capturing vacation photos and experiences, a wedding sign-in book, a personalized recipe book, a memorial photo album, or a brag book celebrating baby's 1st year... MemoryMixer Software makes it easy. Use MemoryMixer's pre-designed pages (which you can personalize) or design your own layouts from scratch, layer by layer, to create the perfect photo book. Then choose the photo book type and size that's right for you. Made With Care Using Quality Materials in the USA. We're not happy unless you are happy. Please contact the office if you're not happy with your purchase and we will help make it right. • Up to 300 pages/images for Hardbound Books. • One of a kind... uniquely yours!